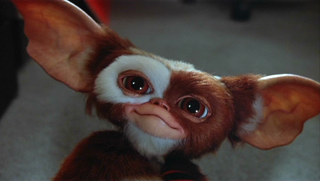 The B-Movie classic Gremlins may have a lot of pop culture references in it, but the monsters themselves are timeless. And now a new discovered featurette shows us how the sausage was made, with a behind-the-scene look at the very first shot, and monster-happy producer Steven Spielberg popping up on set. The vintage featurette is titled "Gremlins: Behind The Scenes," and features interviews with director Joe Dante, the stars, and Spielberg himself, on the soon-to-be blockbuster. No one knows exactly where this video originated — The Playlist suspects it was part of a TV special — but we love getting an inside look at Gizmo and friends!